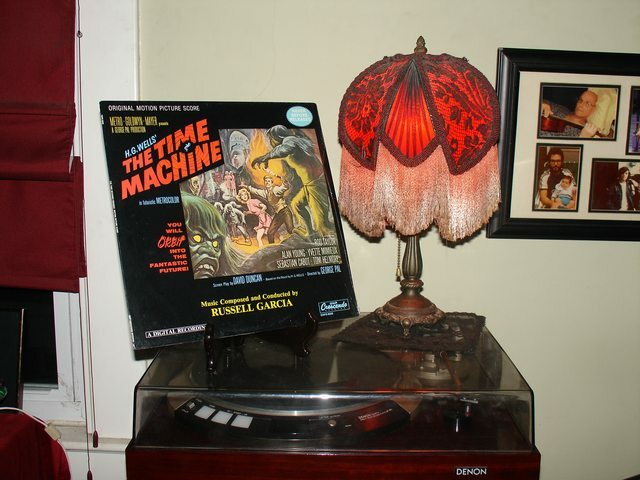 Now playing The 1960 soundtrack to H. G. Wells' The Time Machine with music by Russell Garcia. If you've ready my latest journal entry then you know how happy I am that this arrived. And if you haven't then head on over and check it out! Just FYI I'm going to be lazily making my way through your 100 desert island albums in your sig. We don't seem to share all that much in common musically but you introduced me to Underworld and the Avalanches, and you seem to value fun and novelty over elitism in your own way as I do, so I figure it's worth my time. Thanks, Bat! That is actually one of the best things a person could say to me. I hope you find some fun surprises, and I would love to hear your rantings about any album you care to reflect upon, good or bad. 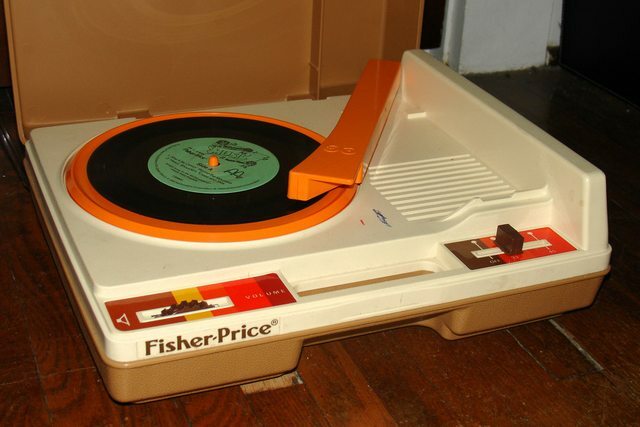 An old friend came into town for a visit this evening and gifted me a Fisher Price record player. Now playing McDonald's Music Happy Meal 7" #130801. 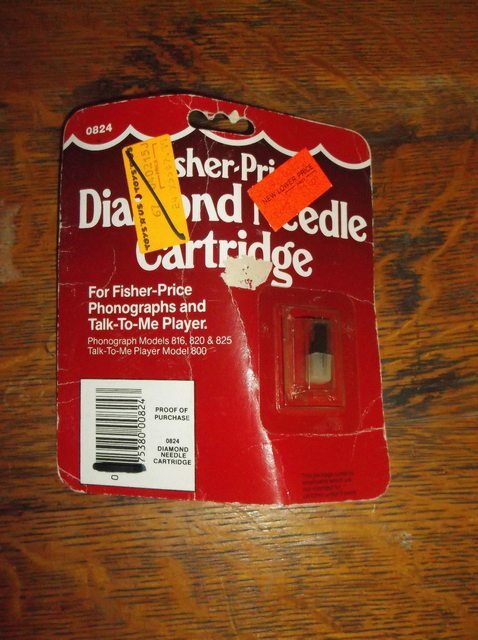 Looks like I'll need a new stylus, but fortunately, I see they're still out there. Merry Christmas!